If you have ever been involved in the organization of an event, you already know this: the details that demand remarkable attention and precision are numerous, and the seemingly harmless “small program changes” are often the ones that claim most of your effort. Digivents is the perfect solution that uses the latest technologies to make the organization and management of events, congresses and trade fairs easier and more practical, granting a high quality experience to everyone involved: from the attendees to the speakers, from media to sponsors. 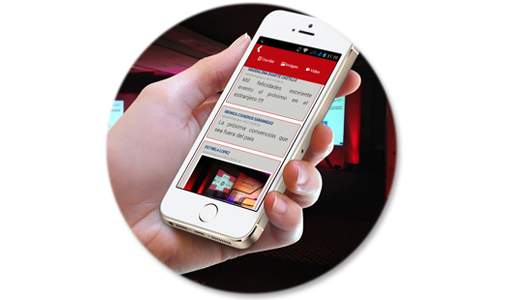 The essence of Digivents is embodied in our smartphone and tablet applications: easy to use, useful and interactive – these are the keys to your event’s success! 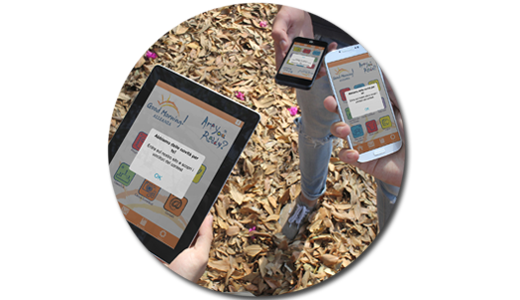 Digivents through specific applications developed for tablets and smartphones, allows attendees to access all the contents generally printed on paper. Interact with your spectators in a reliable and functional way: the attendees are able to ask you questions that can be accessed and selected through a dedicated managing console. The interaction between attendees can be managed with the help of a private social network. Users may post messages, share pictures and videos, while at the same time conciliating functionality and privacy! A contest is an ideal tool to guarantee visibility for your sponsors and/or guide your attendees toward activities/sessions that you want to promote. 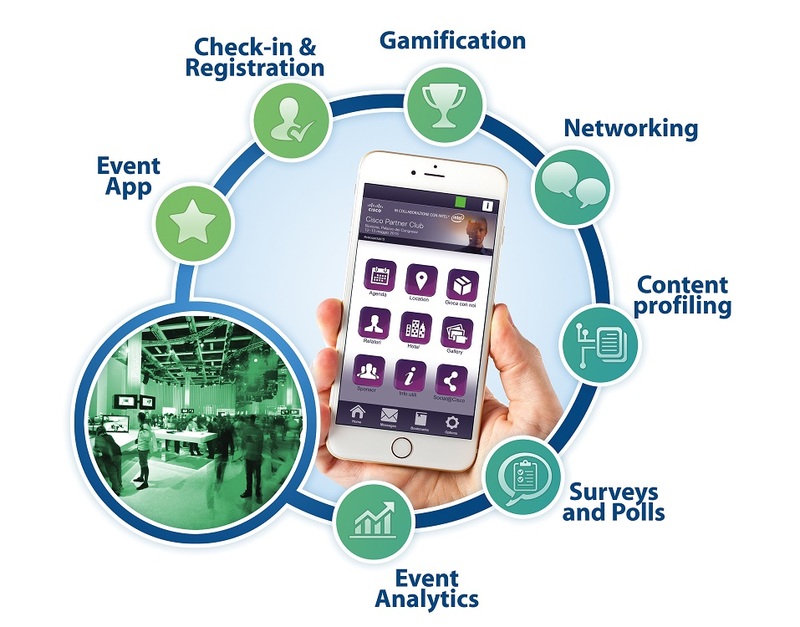 Integrate the Beacons technology into your gamification activities (for example to increase participation numbers at the different sessions within your event, monitoring sponsor stand visits, or implementing “treasure hunt” activities). Allow attendees to access other users profiles and communicate through the internal chat! Manage easily and efficiently your registration process: guest lists, customizable email templates, registration forms and check-in are one click away. The Check-in process for your attendees becomes easy with Digivents, thanks to a simple and fast authentification procedure at the entrance desk. 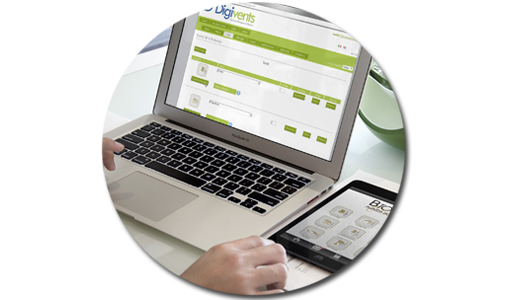 Digivents gives you the ability to manage multiple check-in sessions to trace your users’ accesses, such as attendance to workshops, restricted areas of the venue and sponsor stands. Choose between using QR-Codes printed on the attendees’ badges or the innovative Beacons technology. 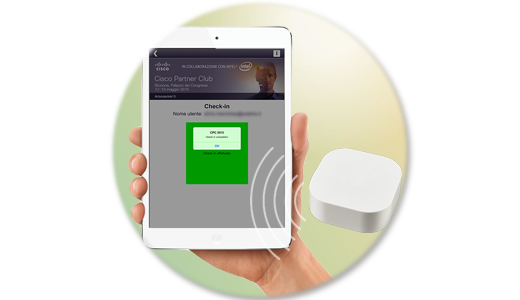 Prevent any long lines at your registration desk and provide a “wow” effect with the Beacons-based check-in procedure! Print badges for your attendees, thanks to a check-in integrated process, by using interfaced printers dedicated to your needs. Define your user base individually thanks to the profiling function and differentiate your content based on user group. Diversified content in a single app!